Byron Antron Leftwich (born January 14, 1980) is a former American football quarterback in the National Football League (NFL). He was drafted by the Jacksonville Jaguars seventh overall in the 2003 NFL Draft. He played college football at Marshall University. Leftwich also played for the Atlanta Falcons, Pittsburgh Steelers and Tampa Bay Buccaneers. He earned a Super Bowl ring with the Steelers in Super Bowl XLIII as they beat the Arizona Cardinals. He is currently an intern coach with the Cardinals working with their quarterbacks. Leftwich attended Howard D. Woodson High School in Washington, DC and was a letterman in football, basketball, and baseball. He garnered an honorable mention on the Washington Post's All-Met football team in 1997 as a senior. He was also first team All-DCIAA East in basketball his senior year. Leftwich starred at Marshall University in Huntington, West Virginia. He was the MVP of the 2000 Motor City Bowl. Leftwich gained recognition after quarterbacking a 64–61 overtime victory over East Carolina in the 2001 GMAC Bowl, in which he competed against future teammate David Garrard. He is also remembered for being carried by linemen Steve Sciullo and Steve Perretta, after breaking his shin, specifically the left tibia, and returning to the game, taking Marshall down the field on multiple series as he rallied his team to a 17-point comeback against Akron in November 2002, although Marshall still lost 34–20. Leftwich, along with fellow Marshall alumni Chad Pennington and Randy Moss, and Doug Chapman is also credited for helping the Mid-American Conference (MAC) gain more national attention; Marshall has since joined Conference USA. In his career at Marshall, Leftwich completed 939 of 1,442 passes (65.1 percent) for 11,903 yards, 89 touchdowns and 28 interceptions. He amassed 12,090 yards of total offense on 1,632 plays, ranking second on the school's all-time list behind Chad Pennington. At the 2003 NFL Draft, the Minnesota Vikings and Baltimore Ravens agreed to a trade to move the Ravens into position to take Leftwich with Minnesota's seventh overall selection. However, one of the teams had second thoughts at the last minute and the Vikings missed the allotted time for their pick. As a result, they defaulted on the selection and were dropped to ninth. The Jaguars, originally supposed to draft eighth, moved up and took Leftwich with the seventh overall pick. Leftwich took over as the Jaguars starting quarterback in game four of his rookie year after Mark Brunell was injured in the previous week's matchup against the Indianapolis Colts. For the first 11 games of the 2005 regular season, Leftwich was developing into the quarterback the Jaguars believed he would become when they picked him in the first round of the 2003 NFL Draft. He obtained a passer rating of 89.3, ninth-best in the NFL, and a 3:1 touchdown:interception ratio (15:5). However, in the regular season against the Arizona Cardinals, Leftwich suffered a broken ankle after being sacked by Cardinals' safety Adrian Wilson on the first play of the game. Leftwich missed the remaining five games of the regular season. He returned against the New England Patriots in the AFC Wild Card round of the playoffs. The Patriots won 28–3. Leftwich entered his fourth NFL season as the Jaguars' starting quarterback, but without veteran wide receiver Jimmy Smith, who suddenly retired in May 2006. Leftwich led the Jaguars to victories on national television in consecutive weeks against the favored Dallas Cowboys and Pittsburgh Steelers to begin the 2006 season. Leftwich suffered an ankle injury in a week 4 loss to the Washington Redskins. Following a week 6 loss to the Houston Texans, Leftwich had surgery to repair the ankle, which effectively ended his season. David Garrard replaced Leftwich for the remainder of the season. In his first seven games as Leftwich's replacement, Garrard led the Jaguars to five wins and two losses and an 8–5 record through thirteen games in the season. Garrard's and the team's success in Leftwich's absence led to speculation that the Jaguars might seek to replace Leftwich permanently with Garrard. However, the Jaguars lost the three final games of the season, preventing the team from making the playoffs. Garrard struggled during the final three games. He threw three interceptions and fumbled once in a 24–17 loss to the Tennessee Titans, whose offense had struggled throughout the game mustering only 98 total yards of offense to the Jaguars' 396. Three of the turnovers were returned for touchdowns, accounting for 21 of the Titans' 24 points. The Jaguars lost their following two games against the New England Patriots and the Kansas City Chiefs. In the final game of the season, Garrard's ineffectiveness prompted Jaguars head coach Jack Del Rio to replace Garrard with backup Quinn Gray. In February 2007, Del Rio publicly reaffirmed his commitment to Leftwich, formally naming him as the team's starter over Garrard and Gray. If the team had been favoring Garrard after the first seven games of the season, his unfavorable performance in the final three games almost certainly led to reaffirmation of Leftwich. After observing Leftwich's and Garrard's performances throughout the 2007 preseason, in the week preceding the first regular season game of 2007 Del Rio named Garrard the team's starter and declared that Leftwich would be either cut or traded. The Jaguars cut Leftwich on September 1, 2007. On September 17, 2007, Leftwich was flown out to Atlanta to meet with Atlanta Falcons officials, citing a possible signing with the team. On September 18, Leftwich signed a two-year deal with the Falcons with incentives attached that could make the deal worth up to $7 million. Leftwich entered the season as a backup to starter Joey Harrington. After replacing Harrington late in Week 5, Leftwich got the start in Week 7 and played very well, before having to leave the game with an ankle sprain. He got the start again in Week 11 after returning from his injury. Harrington regained his starting position and Leftwich did not play again. On February 15, 2008, he was released by the Falcons. He worked out for the Tennessee Titans in July. On August 10, 2008, Leftwich was signed by the Pittsburgh Steelers to a one-year deal after Pittsburgh's backup Charlie Batch was injured in a pre-season game. The contract was worth $1,645,000 and included a $140,000 signing bonus. Leftwich started the 2008 season as the back-up quarterback to Ben Roethlisberger. "I'm the guy sitting in the bullpen," he stated prior to the first game of the 2008 season, "if something were to happen, I have to go out there." Leftwich performed well throughout the season when called upon, appearing in 5 games. During the 2008 season, he completed 21 of 36 attempts for 303 yards and two touchdowns with no interceptions for a 104.3 passer rating, in addition to rushing for 1 touchdown. Leftwich earned a Super Bowl ring as the Steelers' backup when the Steelers defeated the Arizona Cardinals in Super Bowl XLIII. Leftwich agreed to terms on a two-year contract worth $17 million with the Tampa Bay Buccaneers on April 12, 2009. On August 29, Buccaneers head coach Raheem Morris named Leftwich the team's starter for the 2009 regular season. On September 28, Buccaneers benched Leftwich after a disappointing loss to the New York Giants and an 0-3 start to the season. Josh Johnson was named the Tampa Bay Buccaneers' new starting QB, while Leftwich moved down to 3rd string behind Josh Freeman. After spending several games inactive due to an elbow injury, on November 24, Leftwich was placed on injured reserve, ending his 2009 season. Leftwich was traded to the Pittsburgh Steelers in exchange for a 2010 seventh-round draft pick on April 20, 2010. He was expected to be the starter while Ben Roethlisberger served his four-game suspension, but suffered a knee injury during the preseason finale against the Carolina Panthers. Leftwich was cut from the Steelers on September 18, 2010 in a temporary move to make room for defensive lineman Steve McLendon, who was signed due to an injury to Casey Hampton. However, on September 19, Steelers quarterback Dennis Dixon was injured in a win over the Tennessee Titans and Leftwich was re-signed on the morning of September 20. Leftwich made one appearance during the regular season finale, in relief of Roethlisberger, once the game was out of reach for opponents Cleveland. The final score was 41-9 and he completed 5 passes out of 7 attempts for a total of 42 yards with no touchdowns or interceptions. Leftwich was the Steelers backup QB for their playoff run and Super Bowl XLV loss to the Green Bay Packers. During week 3 of the 2011 preseason against Atlanta, Leftwich broke his left arm after landing awkwardly while running with the ball. On September 2, he was placed on the Injured Reserve list, causing him to miss the entire season. He later re-signed with the team in April 2012. During Week 10 of the 2012 regular season, Ben Roethlisberger got knocked out of the game against the Kansas City Chiefs at Heinz Field, injuring his SC joint and rib on the only sack of the game. Leftwich came into the game and completed 7 of 14 passes for 73 yards, helping lead the team to a go-ahead field goal in the fourth quarter that would eventually be tied before the Steelers finally won in overtime. Two days after the win against the Chiefs, the Steelers announced that Leftwich would be the starter in Week 11 against the Baltimore Ravens at home. He had a career long rush of 31 yards for a touchdown in the opening drive in Week 11 loss against the rival Baltimore Ravens. However, in the process, he broke his rib and was sidelined after the game. In college he starred in MTV's True Life: I'm a Heisman Trophy candidate. During the 2003 season, Leftwich was featured on "Hey Rookie, Welcome to the NFL", an ESPN documentary profiling the life of a few select NFL first-year players. In 2004, Leftwich served as the grand marshal for the Pepsi 400 at Daytona International Speedway. Leftwich appeared on Quite Frankly with Stephen A. Smith hosted by Stephen A. Smith on ESPN in the spring of 2006. A 1967 Lincoln Continental owned by Leftwich was featured on an episode of the show Unique Whips on Speed Channel. 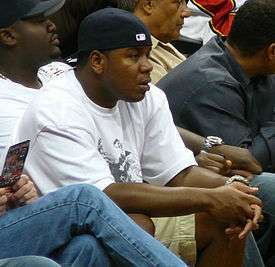 Leftwich and fellow NFL player Michael Strahan were interviewed by NBC during coverage of the Kentucky Derby in May 2007. Leftwich is a frequent guest on the NFL Total Access, the flagship show of the NFL Network. On multiple appearances, host Rich Eisen has drawn comparisons between Leftwich and actor Gary Coleman. In the ending clip montage of the 2006 film We Are Marshall, Leftwich can be seen throwing a deep pass and being carried down field by offensive lineman James Couch and linebacker J.T. Rembert. ↑ - Top 10 Playing With Pain Moments. ↑ "Watch Jacksonville Jaguars vs. Tennessee Titans". NFL.com. 2006-12-17. Retrieved 2013-03-24. ↑ Ketchman, Vic (2007-08-31). "Jags trying to move Leftwich". Jacksonville Jaguars. Retrieved 2007-09-01. ↑ "Jaguars Trim Roster to 53". Jacksonville Jaguars. 2007-09-01. Retrieved 2007-09-02. ↑ "Steelers sign Leftwich, Culpepper as QB fill-ins". NFL. Sporting News. 2008-08-09. Archived from the original on 2008-08-13. Retrieved 2008-08-10. ↑ "Steelers looking at QB Leftwich". NFL. Yahoo! Sports. 2008-08-09. Retrieved 2008-08-09. ↑ Dulac, Gerry (2008-08-11). "Leftwich the pick on the QB option". Pittsburgh Post-Gazette. Retrieved 2008-12-28. ↑ Bouchette, Ed (2008-09-02). "Leftwich embraces new role as Steelers' No. 2 quarterback". Pittsburgh Post-Gazette. Retrieved 2008-09-02. ↑ "Ben Roethlisberger gets six-game ban - ESPN". Sports.espn.go.com. 2010-04-22. Retrieved 2013-03-24. ↑ "Steelers release Byron Leftwich". SportingNews. 18 September 2010. Retrieved 28 August 2011. ↑ "QB Leftwich Returns to Steelers". Associated Press. 20 September 2010. Retrieved 28 August 2011. ↑ "NFL Game Center: Pittsburgh Steelers @ Cleveland Browns - 2010 Week 17". NFL.com. 2 January 2011. Retrieved 28 August 2011. ↑ McCall, Amanda (1 February 2011). "Steelers' Leftwich Prepares for Super Bowl XLV". wvnstv.com. Retrieved 28 August 2011. ↑ "Steelers' Leftwich reportedly out for season after breaking arm". NFL.com. 28 August 2011. ↑ "Steelers Reduce Roster to 58; Leftwich on IR". NFL.com. 2 September 2011. ↑ "Roethlisberger is out indefinitely - Pittsburgh Post-Gazette". Post-gazette.com. 2012-11-14. Retrieved 2013-03-24. ↑ Archived November 23, 2012, at the Wayback Machine. ↑ "Timmons' OT interception helps Steelers edge Chiefs, 16-13 - Pittsburgh Post-Gazette". Post-gazette.com. 2012-11-13. Retrieved 2013-03-24. ↑ "Kansas City Chiefs vs. Pittsburgh Steelers - Box Score - November 12, 2012 - ESPN". Espn.go.com. 2012-11-12. Retrieved 2013-03-24. ↑ "Steelers: Leftwich will start over injured Roethlisberger - Pittsburgh Post-Gazette". Post-gazette.com. 2012-11-14. Retrieved 2013-03-24. ↑ "Byron Leftwich Stats". ESPN Internet Ventures. Retrieved 24 March 2014. ↑ DON COBLE The Times-Union (2004-07-01). "NASCAR NOTEBOOK: Leftwich goes from Marshall to marshal". Jacksonville.com. Retrieved 2013-03-24. ↑ "Unique Whips". Speedtv.com. Retrieved 2013-03-24. ↑ Nestor Aparicio (2007-05-06). "Derby star watching.. » We Never Stop Talking Baltimore Sports". Wnst.net. Retrieved 2013-03-24. Wikimedia Commons has media related to Byron Leftwich.